Well I have this in hand, thanks to the lovely people at Kirton games, and I’m honestly not sure how I feel about it..
At first glance the leaks looked like a lot of stuff from my existing army was going to need remodelling, but on further scrutiny that isn't the case, there are some things you cant do any more, and some rules that have been toned down – such as Jaws not affecting MC’s which from a “fun game” point of view was never good to be on the receiving end of so from that POV i can see why its gone, but then again in the current landscape when there are so many broken options I'm not sure why that one received the nerfbat compared to others..
Dreadnoughts came out well with the new axe being a must-replace all pfists with option, and the new character and Bjorn kit are welcome too. Wolf scouts outflank got a nerf, which is upsetting, but outflanking was added to the army in a random way if one takes the new formation, so that's good. My initial fear that +i would need to remodel all my grey hunters that had a bolter and chains word is gone,. as all GH can take a close combat weapon for 2 pts. So far the main thing I have found I can no longer field is mixed units of PA and TDA wolf guard. I can still use TDA pack leaders, and I can still use drop pods with my termies thanks to the FA slot option, so largely I think few modelling changes are required. ADDENDUM mark of the wulfen appears simply to be gone… and wolf standards are one per detachment… so thats some models in need of alteration after all.. Blood claws are still cool, and I predict a comeback. :) especially if you nestle a squad of grey hunters with a wolf standard in a wrapping of blood claws so that they all get the +1 attack. The army retains counter attack, which for me is a defining feature of the Space wolves now, so I’m happy about that, and predictably in an attempt to shift models, most troop units can take the new flying transport. I admit i am confused as to the business case for a whole new flyer, i would have thought it more cost effective to “wolf up” the existing marine flyers and give us those, less tooling and expense and we still would have all bought them as we were keen to get our mitts on flyers. those of us who have wolfy painted existing flyers can still field them using an allied detachment, so I'm not sure why the new flyer… Its “okay” looking but to be honest I'm not desperate to have one, even with the new awesome gun of overpoweredness. Other things I am a bit sad about? no grav guns, no tempests. BUT with the way allies work now I can take marine bikers and give them grav guns and take tempests and pout wolf scouts in them, so no biggie. Long fangs got slightly more interesting as if you wish you can swap out the ancient for a wolf guard and five him a special weapon. maybe good in melta squads? Its definitely sad to see how much they seem to have toned them down, they feel so much more like a variation on the Space Marines codex now, rather than the extremely distinct force that they used to be. I imagine that their character will come out once we get playing them again, but its sad to see. I'm most sad about the loss of Mark of the Wulfen. It was a great little addition to the force, and I'd have been happy to see it take some decrease like a D3+1 rather than a D6+1, but to lose it altogether is just a real, real shame. I really like the look of the new flyer, I was always a fan of the Caestus, so seeing a single hull version is great. As for Logan's basket, well, less said the better, although the rules for it are pretty tasty so sadly I imagine we'll be seeing quite a few of them. the single biggest hurt is the loss of those rending CC attacks, and the loss of the flavourful wulfen. 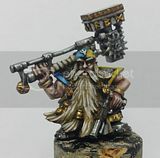 - in light of them still using the ancient Ragnar model, would it really have been such a stretch to resurrect the old wulfen models to keep the codex entry alive? I'm definitely hoping that you are right, I've only skimmed over the codex, so I'm sure there is a lot there that I've missed and more potential. I twigged to you mentioning that the wolf-standard is one per detachment, I hadn't spotted that previously, and its an interesting move as it seems to be considerably improved for what it does. It does seem that it'll end up being used a bit like a BSB in Fantasy, with the army clustered around it. I do really miss the Wulfen aspect of the force. I posted a while ago about trying to make rules for the Wulfen models for 6th Edition (http://iron-legion.blogspot.co.uk/2013/02/wulfen-in-6th.html), I might have to re-visit that post for the new codex and see if I can't make it something that people will accept to play. I agree, it wouldn't have taken much to include them as a single extra datasheet (in the elites section they'd have been fighting with all the other good choices so wouldn't dominate), but maybe we'll get them as a later release. Problem is, with GW deserting finecast, we won't see any release of old miniatures unless they take the time to re-create them in plastic, and I just don't think they'd sell well enough for them to pursue that. They certainly get some great kit, that wolf drawn device is stunning! I am honestly struggling with the farther wolfmass chariot... i need to see one in the flesh i think..
That Demi-cestus doesn't have enough weapons systems. I agree on the chariot not being that impressive for me. However I do like the dreadnought with shield and axe. Yup, with you there, liking the new dread.. maybe not the "special alien ice claws" but definitely the big ol axe and shield. Yeah I think they are kindof missing the point with the "different" chapters. as someone whose been around this hobby most likely since before a lot of the designers working at GW currently were born.. the "difference" in the fluff was always in the genentic makeup and nature of the marines, not in special equipment they had acess to. but what do i know, I expect there's a business case out there that explains why this pell mell release schedule of models few people care about is the good way to go..
Space Wolves, Dark and Blood Angels always were defined by their special rules in the past, which made them play significantly differently from codex space marines. Sadly a special rule doesn't sell new models, so I imagine we'll see more of the differentiation between armies being reliant on access to different wargear in the future. I just hope that they might be able to keep the different play-styles alive in the way they seem to have managed with Fantasy, while still releasing new models. I hate that they removed the Wulfen. It was not a game changer, and it added a lot of flavour to the army. Now, I love the last picture, the converted Logan one. Where did you get the pieces? especially the arm with the bolter.